Hello all, and welcome to another review, brought to you by the North Island! Ever since my wife and I returned to civilization from the Sunshine Coast Trail, I’ve been taking the time to sample some new beers. This began with the Townsite Brewery’s lineup, and has since gone on to include some previously unsampled beers from the interior. 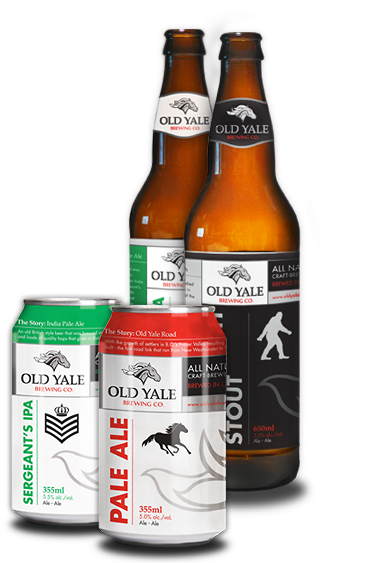 Today, I was sure to pick up a bottle of Old Yale’s IPA, which I’ve been meaning to try for some time. Based in Chiliwack BC, the Old Yale brewery has been on my radar ever since some fellow BC cervisiophiles* raved about its lineup. 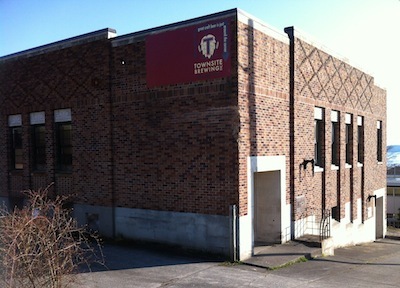 Located in Chiliwack BC, this brewery is relatively new, as breweries go, having opened its operations in 2000. 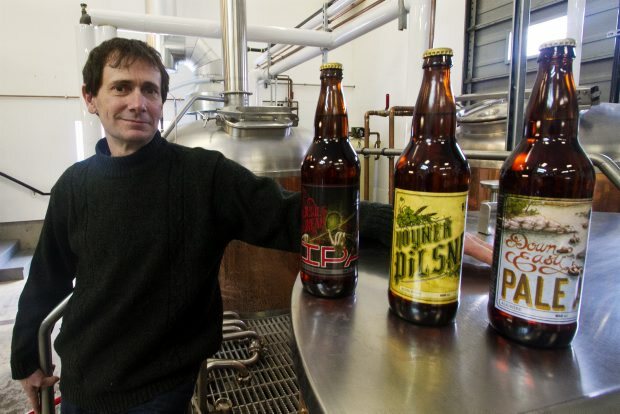 Of their beers, the IPA is the most renowned, having won gold three years running (2004-6) in the Canadian Brewing Awards. As a sessional ale, the Sergeant’s is naturally lighter tasting than your standard, stronger IPA’s, which weigh in at about 6 or 7 % alcohol per volume. 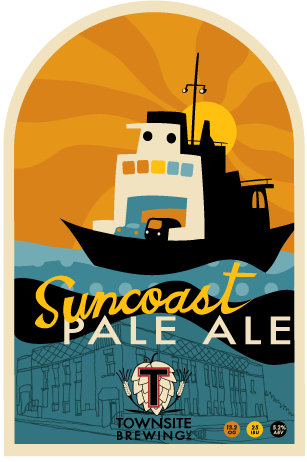 At 5.5.%, it is not unlike Townsite’s own IPA, combining a lighter, cleaner malt taste with a heavy dose of hops. In the end, this makes for a flavor that is well balanced, pleasant to behold and to the nose, and both piney and citrusy in profile. This is due, no doubt, to the combination of Crystal Malts, Golding (UK) hops, and Chiliwack’s own pure spring waters. Combined, they make for a pretty clean and refreshing beer. Not a bad intro! And according to their website, only three more beers to go before I’ve sampled their full regular lineup. I do hope my regular beer suppliers will be forthcoming when I return to Victoria! Hello all, and let me start by saying that it’s good to be back from the brink! After a week of romping around in the bush (aka. The Sunshine Coast Trail), my wife and I had the privilege of retiring to the lovely town of Powell River for a brief stopover before coming back to the Island. While there, we got to sample from a new brewery, one which is (sadly) still unavailable in Victoria or anywhere outside the mainland. 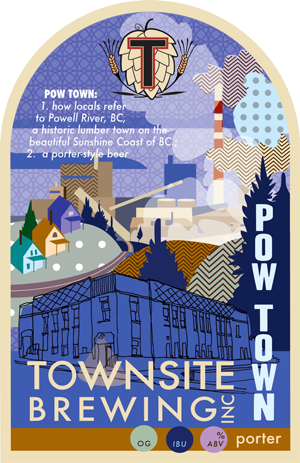 It is known as The Townsite Brewery, an operation which took over the Townsite building of Powell River in recent years and began producing beer by and for the Sunshine Coast. And I can tell you from having kicked around their for the last week or so that the locals are pretty proud of this home-town operation! Just about everywhere we went – pubs, bistros and liquor stores – we saw signs, taps and heard plenty of verbal endorsements in favor of this new beer. 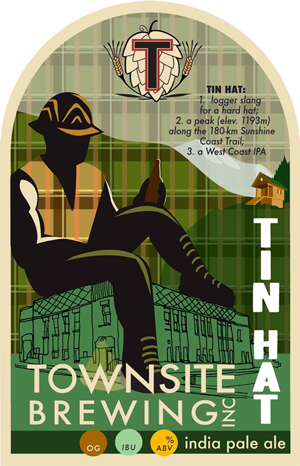 Named in honor of Tin Hat Mountain on the Sunshine Coast, which in turn is a reference to the town’s own mining heritage, this IPA is aptly named. A sessional IPA (meaning, lower in alcohol content and gravity) this beer is light, dry, and packs a piney hop bite. And like all IPAs, I found it particularly refreshing when sitting in Lund harbor, dealing with the inexorable heat! 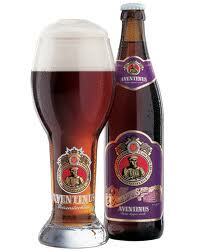 A true session beer that is has nice amber hue and a smooth, tawny character to match. This beer was introduced to me and my wife while dining at the Boardwalk Restaurant while digging into some burger platters. Nothing like burgers and beer to beef up for a big hike! 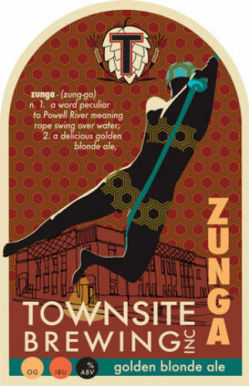 Coming in next, I believe during our last night before setting out for the Sunshine Coast Trail, was the Zunga Blonde Ale. Again, I felt the brewery hit this one right on the head, creating a beer that was both faithful to the best in brewing traditions while still both being drinkable and accessible. 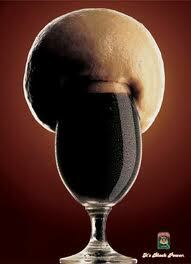 And here we have the brewery’s first seasonal beer, brewed in honor of Powell River’s annual Blackberry Festival. For my money, there are few beers more appropriate than ones which are brewed in honor of local seasonal festivals. And in that respect, the Townsite folks really came through here. We’re talking nailed it in one! A blackberry-wheat beer (natch) which calls to mind the long and venerated Belgian tradition of brewing witbiers infused with fruit, this beer contains no artificial flavors or colors, just blackberries. In terms of appearance, it is slightly cloudy with a nice dark amber hue and the slightest hints of ruby, indicating the presence of real blackberry fruit. As I might have said before, Lighthouse has really been knocking it out of the park lately. Their Big Flavor series was a celebration of craft brewing that included several crossover beers that combined high alcohol content and a hefty dose of hops. And it was followed shortly thereafter by the release of Switchback, a true IPA, but which was part of their regular lineup. 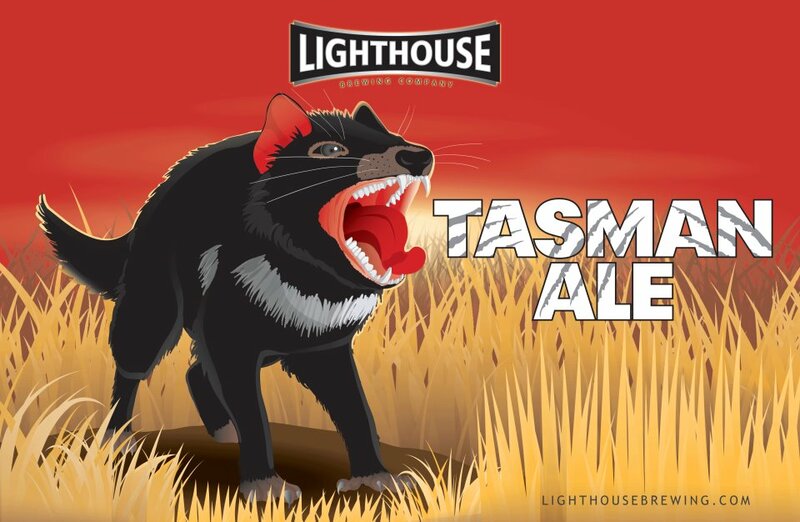 And now, they’ve gone a step further with the introduction of the Tasman Ale, an amber ale that is made with local malts and hops imported directly from Tasmania (indicated by the Tasmanian devil on the label). Like the Switchback, this beer is available as part of their regular lineup, in spite of the fact that it’s much more curious than anything else they’ve created thus far. And whereas the IPA is a robust, citrusy ale with strong, rich malts, this beer is more on the dry side of things, combining a sweat and refreshing malt flavor with dry hops and a slight citrus kick. Like many recent releases, this beer is just in time for the hot weather fronts we’ve been having! Like a good amber, it is mild and refreshing, but the unique hop combination lends it a taste of an ESB combined with an pale ale. All of this leads to a well-rounded drinking experience which helps subdue the heat!